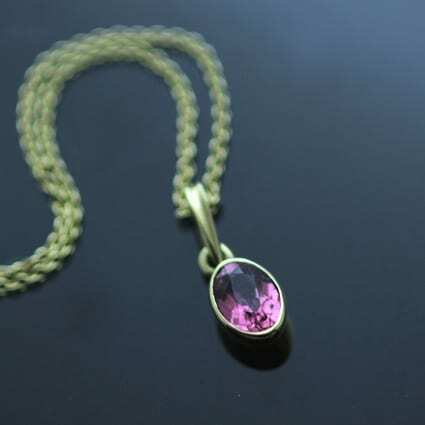 A beautiful Oval cut Pink Tourmaline gemstone is featured in this modern, elegant necklace. Set in hand polished, solid 18ct Yellow Gold to create a sleek, elegant pendant design. 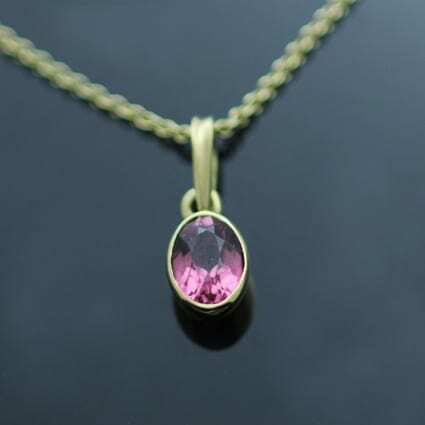 The beautiful dreamy Pink Tourmaline gemstone necklace is finished strung on solid 18ct Yellow Gold fine and dainty 18″ thread chain. 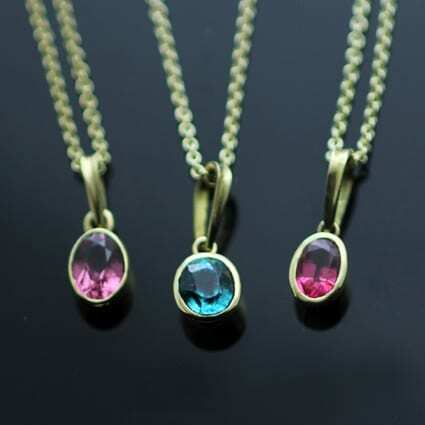 The Tourmaline gemstone is an official Birthstone for October, alongside the beautiful Opal.